Your Lonsdale Battalion & Border Regiment Needs You! 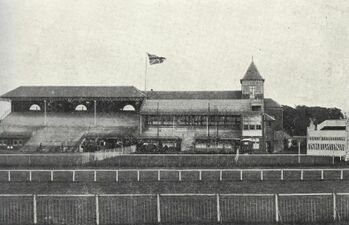 The Lonsdale Battalion was formed by Hugh Lowther, 5th Earl of Lonsdale, and an Executive Committee with the approval of the War Office on 17 September, 1914. The Executive Committee raised four companies, all financed by the Earl of Lonsdale himself from his personal funds. Discover almost four years of the Battalion's history through formation, training and front line action. On this day is a listing of historical daily events associated with the movements actions of the Lonsdale Battalion between 1914–1918. An event is a term used to describe a particular action or set of actions such as: a reference to bayonet training, digging entrenchments, receiving orders, front line fighting and a variety of simple reports including casualty figures, among many others. → Please note this information refreshes every day. 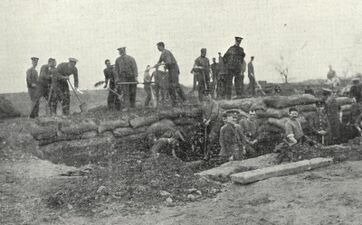 Battalion in isolation camp at Contay Wood (measles) involved in training and small working parties. Training continues during the whole period of isolation. Two officers, 2nd Lieuts. Green (D Company) and Machell (C Company) join the Battalion. ↑ 3.0 3.1 Soldiers Died in the Great War (1921) cross referenced with the Commonwealth War Graves Commission database. 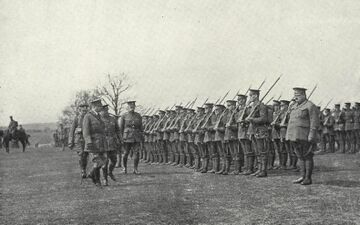 There were a wide range of documents recorded and compiled between the Lonsdale's formation and eventual disbandment in 1918. The documents offer detailed information on the actions and day-to-day running of the Battalion at a time of war. These include, but are not limited to: orders, reports, notes, instructions, messages, honours, awards and press appreciations. Some regimental war diaries are sparse in detail, whilst others are descriptive. Today, they are pivotal to learning about the daily lives of the men and the bitter fighting they endured. The Lonsdale's war diary offers a complexity of daily reports on operations, intelligence summaries, casualties, maps and various other appendices covering their time in France and Flanders. The 11th Battalion Roll of Honour has been transcribed as it was printed in HMSO’s Soldiers Died in the Great War 1914-19, Volume 39, The Border Regiment. This is a complete list of men killed whilst serving in the Lonsdale Battalion during the war. Many of the soldiers that served in the Lonsdale Battalion also served in other battalions of the Border Regiment, some even transferring from entirely different regiments, the most common of these being the Herefordshire, Essex and Liverpool Regiments. Insert the text of the quote here, without quotation marks. Read a selection of quotes from various source materials. The words offer a glimpse into the lives of the men and the sights they bore witness to first-hand. Quotes from the Battalion War Diary give a unique insight to the mundane duties of trench warfare, the horrors of battle and the praising of fellow brothers in the course of their duties. 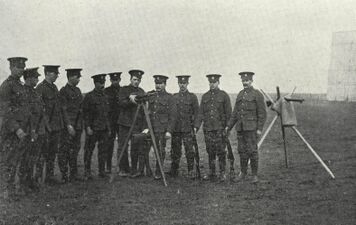 Peruse over a collection of images of the Lonsdales during their initial training period at Blackhall Camp, Carlisle, before being shipped over to France. 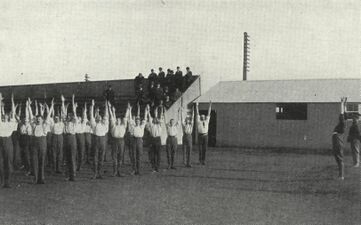 See the men in their civvies lining up for roll call, engaged in bayonet training and aiming drills, digging entrenchments and physical exercise. Plus, see photos of officers, individuals, groups, obituaries, cap badges and other insignia. Several Cumberland and Westmorland newspapers reported on the Lonsdales between 1914 – 1918. Reports on the war, notes of the week, the terrible conditions at the front, casualties and obituaries, to name a few provide the reader with a glimpse into a world where hardships were a fact of life, and the horrors of war and losing your friends were a daily routine. Here's one fine example of a chap writing home about his experience of being wounded. Just a few lines to let you know that I have been wounded, but I am going on champion. A piece of shrapnel went clean through my right thigh while I was going into the trenches with my mates. There were two of us knocked out at the same time. We had a bit of rotten luck that day, and the trenches are four feet deep with mud and water. It was very hard for us, seeing we were new to the place. I went through an operation on Wednesday night… They took the tube out of my wound today. I expect I’ll be sent home any time about Christmas… The doctors and nurses are very nice to the wounded. They will do anything to help you… How is everybody at Workington? Give my kind regards to all. Living day to day surrounded by death and the fear of never seeing loved ones again made the propaganda drive all the more effective as those at home learned about their sons and fathers fighting for the freedoms that many of us today take for granted. The press in recent times, however, enlighten us with stark reminders of bygone times and more often than not, heartwarming tributes of those who served over 100 years ago. Interested in helping out around here? There is always something to write, discover and learn about the Lonsdale Battalion and the Border Regiment. As you can see from the menu on the left there are several projects that are a work-in-progress. Take a look at the recent changes made to the site to see what has been happening lately. Our largest on-going project is the Lonsdale Battalion on this day... project. This is a listing of historical events associated with the actions of the Lonsdales, from formation in 1914 through to its disbandment in 1918. Whenever we learn something new and interesting about the Lonsdales we like to include what we can in the interest of free and accessible knowledge. Every project, however, no matter how large or small is just as important as the next, which is why they are of equal value and interest. Currently there are many other site projects either on the go or waiting to be started, and this is where we need your help in making these available for everyone. If you are interested in helping out you can contact us with any questions you may have about any of the projects. Alternatively, if you have spotted any errors and omissions, would like to create news pages or simply edit some existing ones, you can do so by creating a new account and off you go. We look forward to seeing you around.